J&J Cellars is a small family-owned winery and vineyard in historic San Miguel, California. This was an open house for wedding professionals so you will see the venue decorated for a wedding but no guest or wedding party. 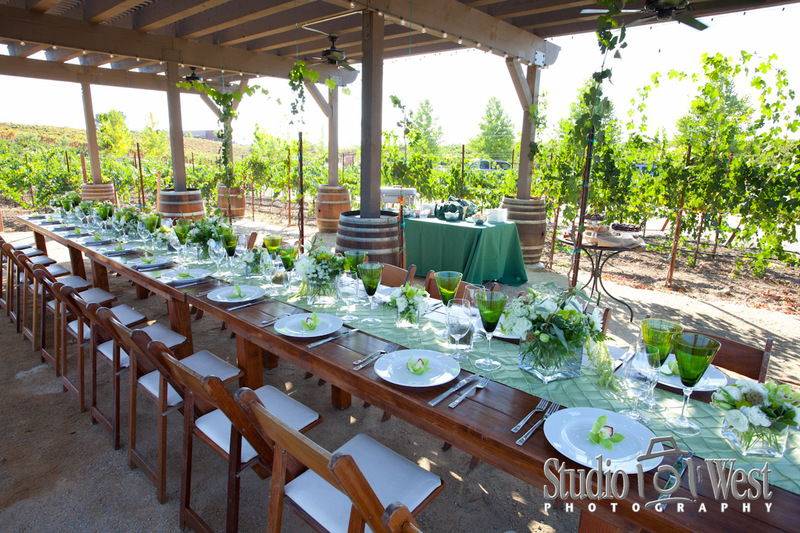 This is a wonderful place for a large or small wedding with several places to choose for your reception area, all with a sprawling view of the surrounding vineyards. They also offer a beautifully remodeled guest house. The gorgeous flowers were provided by Flowers by Kim. Tables and table settings by Unlimited Events Inc. Wedding Photography by Dennis Swanson of Studio 101 West.